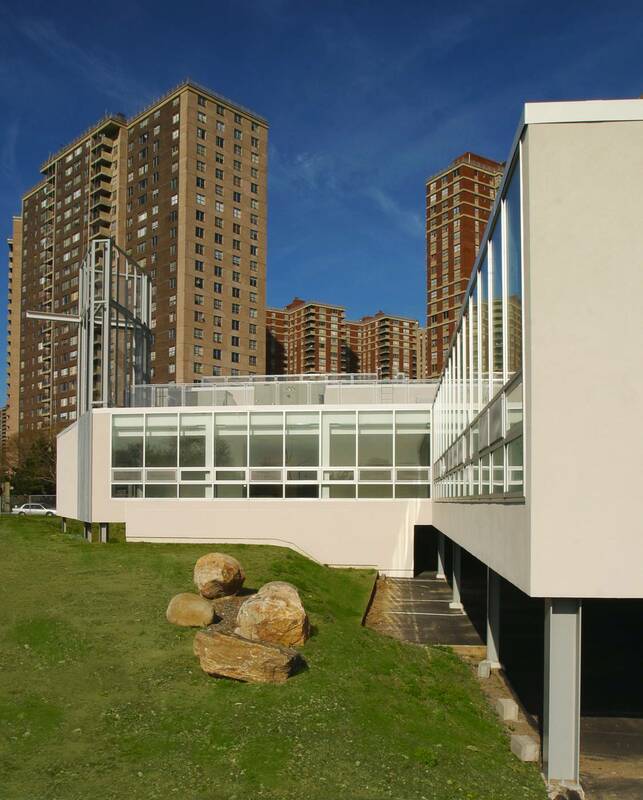 A new 9,400-square-foot facility for a growing Methodist congregation in the Bronx is prominently located on a corner site adjacent to Co-op City near the intersection of two major roadways. 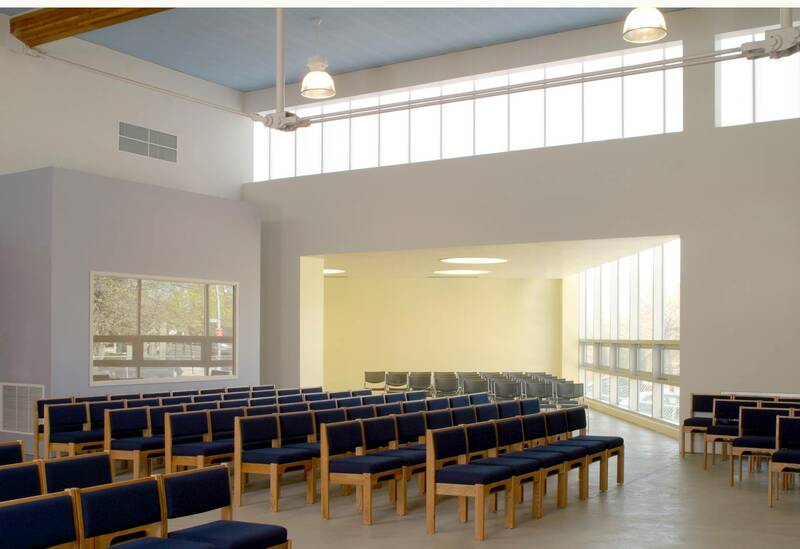 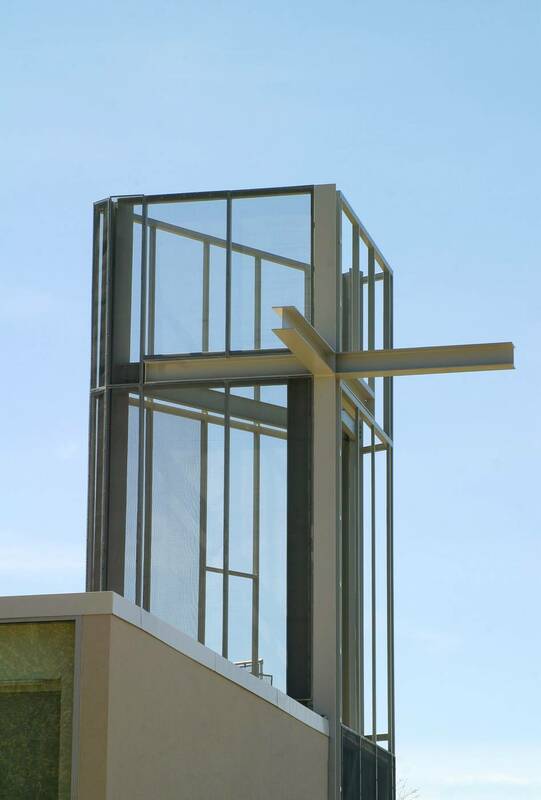 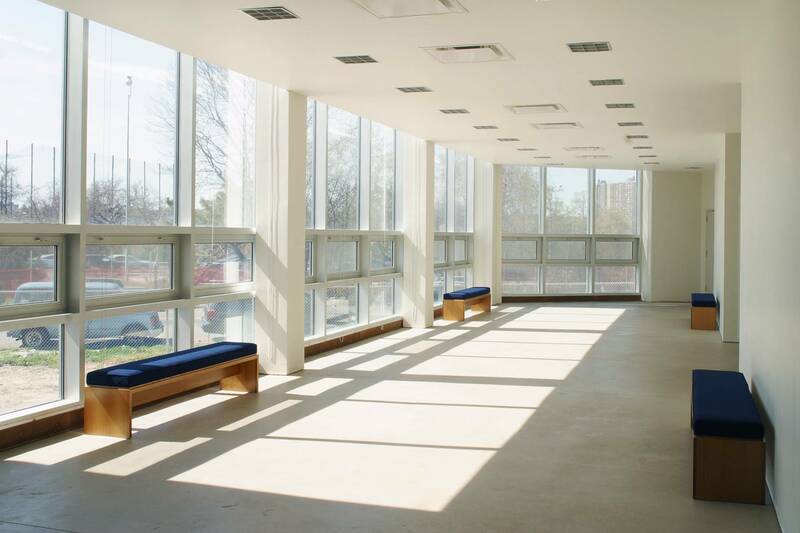 The building includes a narthex, sanctuary and chapel as well as a large meeting room and support spaces for educational and community programs. 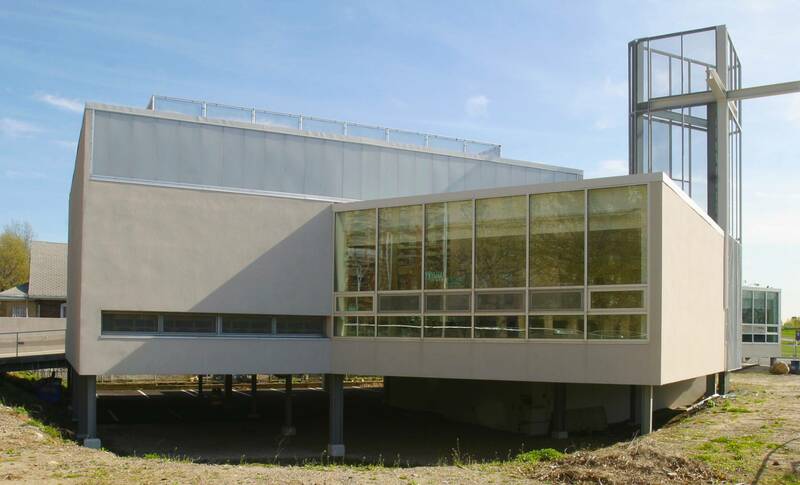 Due to its location in a flood plain, the building is raised and provides for parking below. 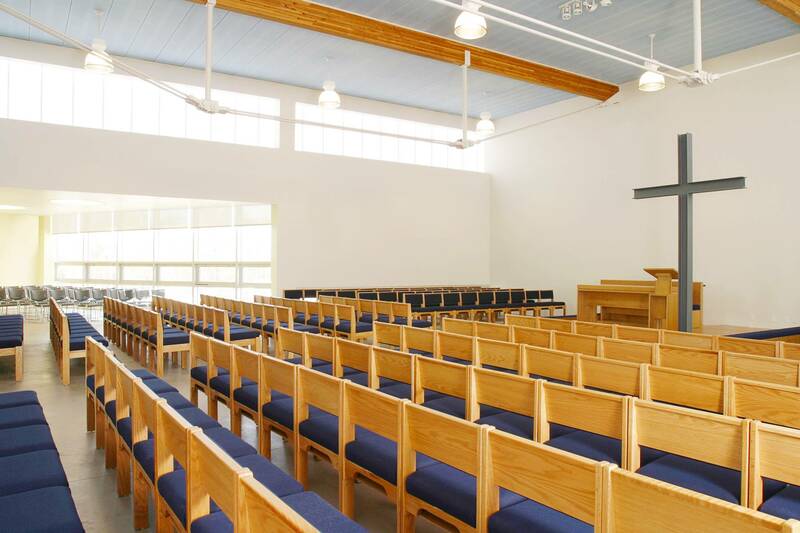 The sanctuary, which is designed to hold over two hundred people, takes advantage of extensive natural lighting through large clerestory windows.